With Spring on the way I am excited For Small Hands allowed me to review their Four Seasons Book Set. 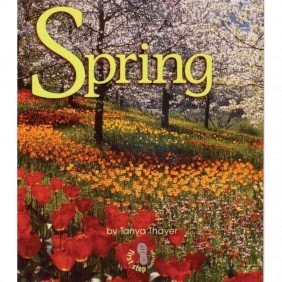 While I worked on my spring cleaning I wanted to have some information for my children on Spring and how the Earth moves to give us the seasons we experience in this part of the country. I asked For Small Hands to review their set of four seasons books. Not only do I have a Spring book written so my 3.5 year old son can read it himself, but I now also have the other season books handy for when the seasons change. The Four Seasons Book Set (item # SC713) is a beautiful set of books with vivid images of real scenes. A chart is placed in the back of each book to help children understand the tilt of the Earth and how this effects the changes of our seasons. Accompanying the chart are facts about each season and a pictorial glossary. I am very pleased with this set of books and intend to use them for many seasons to come!